Abou delivers an exceptional lesson experience and ranks in the top 15% of our teachers nationwide. From the onset, I have been sought after by diverse musicians from jazz and reggae, having played with The Original Wailers in a recent South American tour to New York City downtown electric fusion bands. 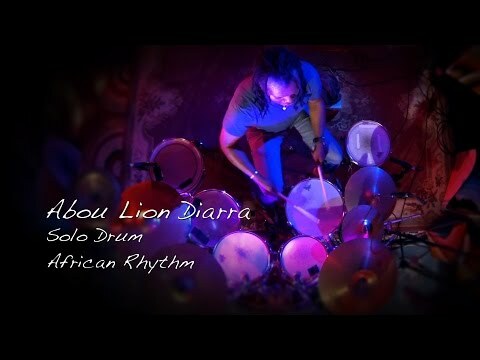 Having just completed a solo off-Broadway music performance I would like to share my skills and knowledge with those interested in a learning a range of drumming skills from beginner to advanced level, allowing you to perform in your local jam session or on the touring stage with high profile bands. The most satisfying thing for me as a teacher is to watch my students develop and excel in their drumming talent, achieving a level of success that makes them smile a little more each day. With thanks in advance for your professional enquiry. I am proud to be part of the after school teaching program for kids aged 5 to 14 years of age, mentoring and tutoring their development not just in drumming but concentration and co-ordination skills. The mission of the MMC is to improve the lives of families and youth in the Crotona section of the Bronx through programs that expand opportunities, develop leadership and build community. My young students bring joy in each lesson.